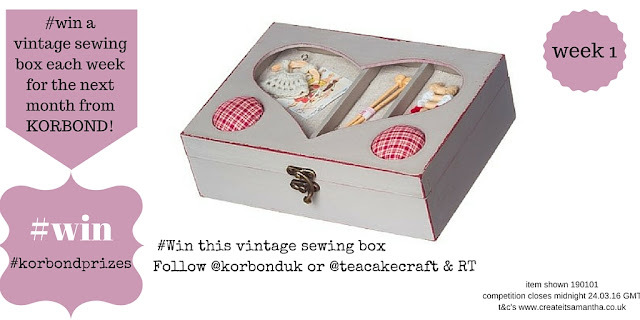 Win A Korbond Vintage Collection Craft Box Each Week For A Month! The one thing I take to every Crafternoon tea party is a pretty storage box full of vintage materials. Today I'm sharing with you why I love my little collection of Korbond Vintage Collection craft boxes, plus you could win one of my favourites every week for the next month! Oh yes! Read on to find out how. If you follow me over on twitter or instagram you will see that I have these beautiful vintage sewing boxes from the Korbond Vintage Collection in my photos. Korbond, you will probably know for the bright yellow and blue packaged emergency sewing kits that you find in your local supermarket. But they also produce these lovely vintage sewing craft boxes, they really are a little secret that I want to share! 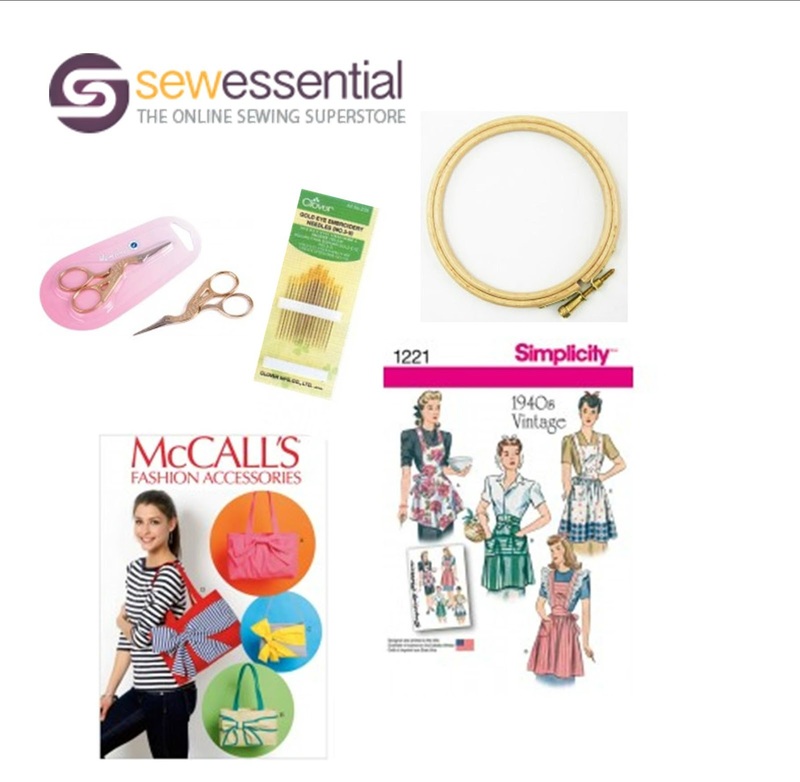 They also have a whole range of professional sewing tools and threads in their Creations by Korbond range, available to purchase online and through independent needlecraft shops. Each week for the next month, we will have a new storage box to win starting from today. That’s five! 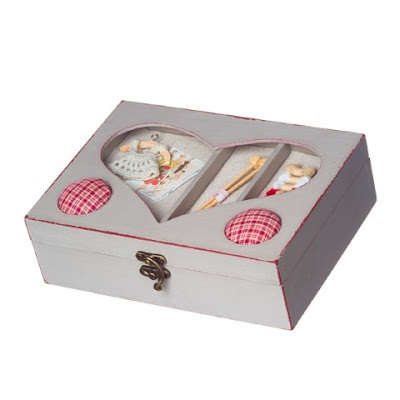 The competition starts with the beautiful Love Heart Sewing Box (190101) she’s beautiful isn’t she? Just look out for new prizes for the next four Friday’s on the hashtag #korbondprizes at @teacakecraft and @korbonduk. Just follow and RT and you could win. A winner will be announced each week. 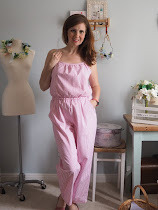 Before I go, if you're visiting the ‘Sewing for Pleasure’ sewing show this week at the NEC, Birmingham 17th-20th March, Korbond will be supporting Sewing Bee Jenni Taylor who has her own stand (ZF20) and she will be holding daily workshops at the Korbond Learn to Sew Studio. 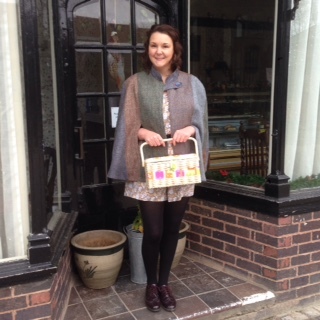 Pop by and see Jenni's #sewingrevolution! Water Erasable Marker for quilting and free hand drawing of patterns. Jenni is currently working with the new Korbond professional sewing threads in her workshops at Sewing For Pleasure this weekend. I've been told in tests it's a strong durable thread so I can't wait to try it out on future sewing projects. I want to thank Korbond for this giveaway and gifting me these beautiful vintage sewing storage range back in 2013 to road test. They are still going and are very much part of my Crafternoon kit. 1. One winner will be selected randomly each week from 18th March to 15th April 2016, there is no alternative prize. The winner will be sent the craft box at the end of the competition on 15th April 2016. 2. The winner will be contacted by twitter on the Thursday after the competition has closed for the week. 3. Details of the winner be announced on twitter. 6. Giveaway closes on the 15th April 2016 when the final winner has been announced. 7. Data will not be shared with a third party. 8. Multiple entries from the same twitter account will not be counted. Today I'm sharing this beautiful vintage toddler dress I made for my little girl as part of the 2016 #vintagepledge challenge. It's shown middle top on the pattern. I found this pattern in a charity shop basket whilst I was on holiday in Devon back in 2012 when my Little L was just 8 months old! Initially I bought it for the christening gown pattern but put it away until she was a little bit bigger. I loved that it was a sleeping bag, dress and top pattern all in one. The dress has an inverted pleat under the arm to give fullness on a princess line and a really vintage feel. I was in love, I didn't care that the pattern may not be complete, I paid my 50p and left! I made this dress up for my little L in soft 100% cotton fabric with a ric-rak trim and added bows on the shoulders. I made it over two evenings and the pattern all fitted together really well. The petticoat dress was perfect for crawling looked great when Little L was wearing it with leggings. The puffed sleeve and inverted pleat made it look 'quirky vintage' which is look I love and makes it wearable today with little girls cardigans, leggings and t-bar vintage inspired shoes. I still love this pattern, I wished them made in my size! The cute inverted underarm pleat to give more shape to the skirt shape of the dress. I've never stitched this type of pleat on a dress before and it was a lovely little finish. The pattern as many vintage patterns was a little bit of a 'fill the missing instructions in' and when you are used to commercial modern patterns, it's like re-reading the rules when you pull an old pattern out of the sleeve. The challenge is always a good one and it was great to complete in such a short period of time! The seams were pinked to about 1cm from the seam and then zigaged with a small stitch to make them soft on her skin. Maybe over engineered for such a small project. 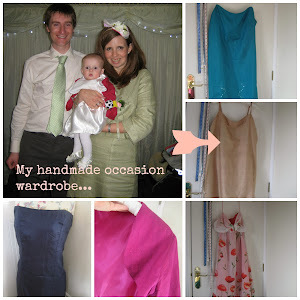 This was a lovely make and I am looking forward to making it again for other little girl toddlers in the family! This is my first #vintagepledge write up for 2016. I am looking forward to sharing more little makes through the year on the hashtag. 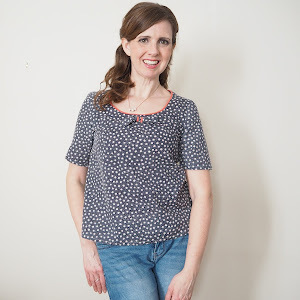 I'm delighted to post about the fantastic Sew Essential Giveway I'm running on the blog this month. After visiting the online store and meeting the team in prep for the #sewessentialmeet, I'm giving you the chance to win your very own selection of goodies from the online store up to £25! If you are like me and love to make with fabrics, threads and yarns you need to enter! The giveaway is open to the end of March 2016. Sew Essential stock a huge choice of haberdashery, sewing patterns, fabrics and crafts from trusted brands such as Gutermann threads, Brother sewing machines and Fiskars scissors. M6977 McCall's Bow Bag This is adorable and with four styles in one it makes a great beach bag or Mummy bag for Summer trips out. 1221Simplicity Vintage Apron I love these aprons and as my Crafternoon aprons need an upgrade for the Summer, I have my eyes on this style. Stock Scissors I swear by these and also need another pair for dressmaking and snipping corners out of collars and cuffs. I always use these for embroidery projects and carry a pair with every project. So if you have more than one project on the go, you need more pairs! Wooden Embroidery Hoop 4in I want to start going tiny on projects and wooden hoops looks so classy plain or you can always decoupage them! Gold Eye Embroidery Needles As every thread needs to be worked with a gold eyed needle in my opinion, it stops friction and breakages of the fibres to give a smoother finish. All you need to do is to tell us in a sentence, ' What you perfect Crafternoon is', over on the this form. 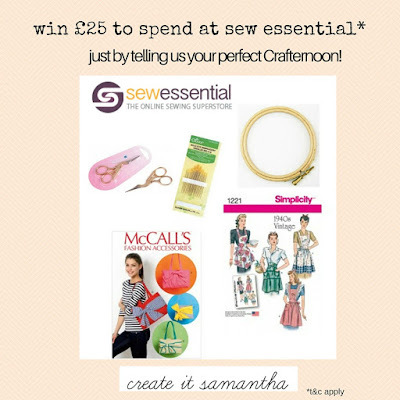 For extra entries find the follow @sewessentialuk on twitter, facebook or instagram and comment below that you have! Good Luck! The winner will be announced on the blog on the 1st April 2016. Sorry we are only open in the UK. For full t and c's * see terms and conditions of the giveaway. 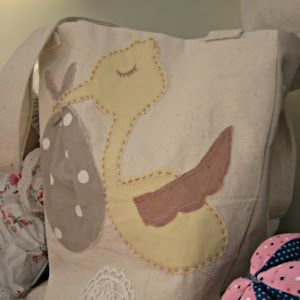 We only have 2 places left at the #sewessentialmeet this evening (Sunday). If you want to book a place see Thursday's post.